You may already be familiar with aloe vera and its beneficial properties for relieving sunburn, but did you know that aloe vera is great for your internal health? Aloe vera juice not only helps to detoxify the body but can also strengthen the immune system, regulate blood sugar, aid in digestion and reduce inflammation. Aloe vera juice can be found at most health-food stores, and for best results, look for aloe vera juice that is organic, undiluted and cold pressed (not from concentrate). 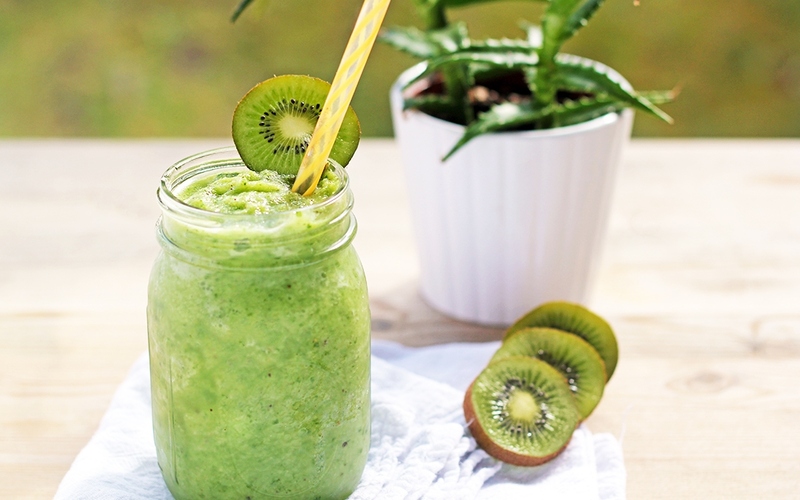 This smoothie combines aloe vera juice with cucumber, pineapple, kiwi, coconut water, and Natural Calm magnesium for cellular balance! Add ingredients to a blender. Blend until smooth and enjoy immediately.